Cory Spencer developed an early detection tool after an udder infection caused permanent damage to one of the milking goats on his Cowichan Valley farm. 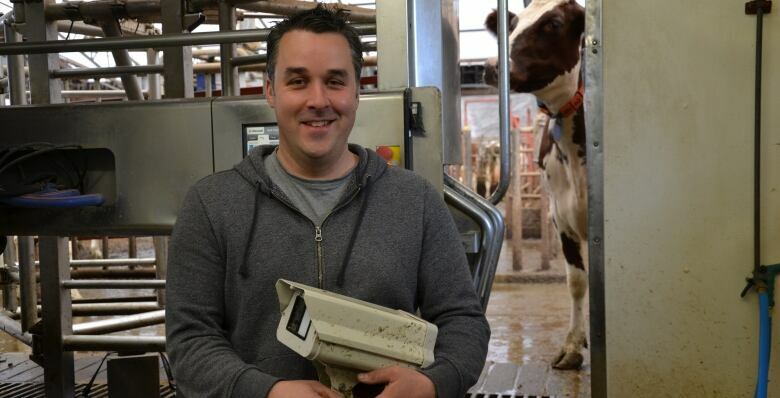 Ten years ago, Cory Spencer made a career shift from coding to milking. 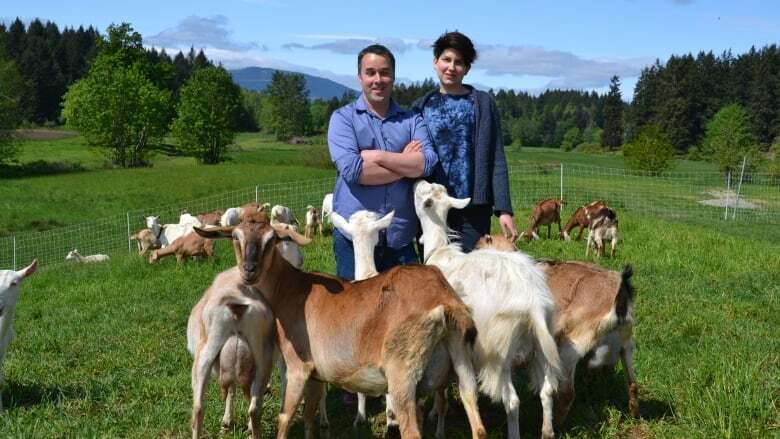 He left his job as a software developer for a pastoral life of raising goats and making cheese in the Cowichan Valley on Vancouver Island. But the past has a way of coming back to us, and last spring Spencer turned to his tech skills after one of his 100-goat herd came down with an udder infection. "By the time I'd detected it, I treated for it but the animal suffered irreparable damage," he told On the Island host Gregor Craigie. Mastitis — an common udder infection — is estimated to cost the global dairy industry billions of dollars every year. Most large dairy operations use robotic milkers that take small samples during the milking process to test for signs of infection in the udder. Spencer said the robotic systems are out of reach for smaller farms like the one that he co-owns, along with The Happy Goat Cheese Company, with his wife Kirsten Thorarinson. "I began thinking how can I perhaps leverage my previous career in computers to help me detect these sorts of infections in the future," Spencer said. The new tool he developed takes a picture of the udder with a special camera that can detect heat signatures, which are elevated temperatures that occur around a wound or infection. The information is run through computer algorithms and provides results at a sub-clinical stage of infection, enabling earlier treatment with better results than other diagnostic tools, Spencer said. "With a pretty good confidence level we can say this animal needs attention from the farmer," he said. As well, he said it is about one-tenth the cost of current methods for detecting mastitis. In addition to his goat-farming and cheese-making roles, Spencer is now chief technology officer of a new company, EIO Diagnostics. EIO is fine-tuning two models of the diagnostic tool, including a handheld model and a larger one for automated milking barns. The barn-mounted model scans the udders of cows and goats as they enter the milking stall. The EIO scanner is attracting significant interest from the dairy industry in Canada as well as the United States, New Zealand and Mexico, Spencer said. It is set for expanded field trials in 2018.